These power oscillators were designed for the testing of electrical and electronic devices of all kinds as well as for components (especially for testing with variable frequency and stable voltage). Additional features enabled the changing of the waveform. Testing of gyroscopic and navigation equipment. 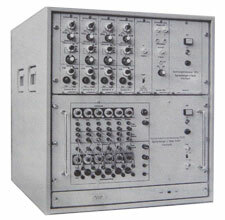 These devices were able to simulate each available a.c. networks (50/60Hz, 400Hz, 162/3Hz). 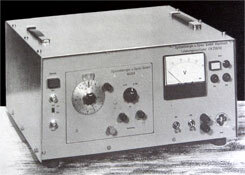 Voltage modulator ME4 and short-time voltage control TS 1 D used for additional mains simulation for three-phase power supply units.